This eco-friendly step stool is made from our bamboo and rice husk plastic making it sustainable to produce and even biodegradable when you've finished with it. Although the step is eco-friendly it has been designed with the child's safety as a number one priority. Available in 3 colours, blue, natural and pink the BecoStep looks perfect in the bathroom alongside the BecoPotty. As it's made from our bamboo material it is heavier than most other step stools, which means it is more stable and less likely to topple over. 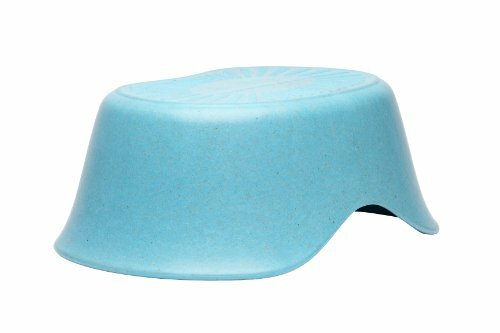 Additionally the wide base is supported by rubber strips on the feet, this prevents the step moving around the bathroom floor. Finally we've added some raised contours on the top of the BecoStep which means the child has much more grip. All this makes the step up to the sink eco and safe.